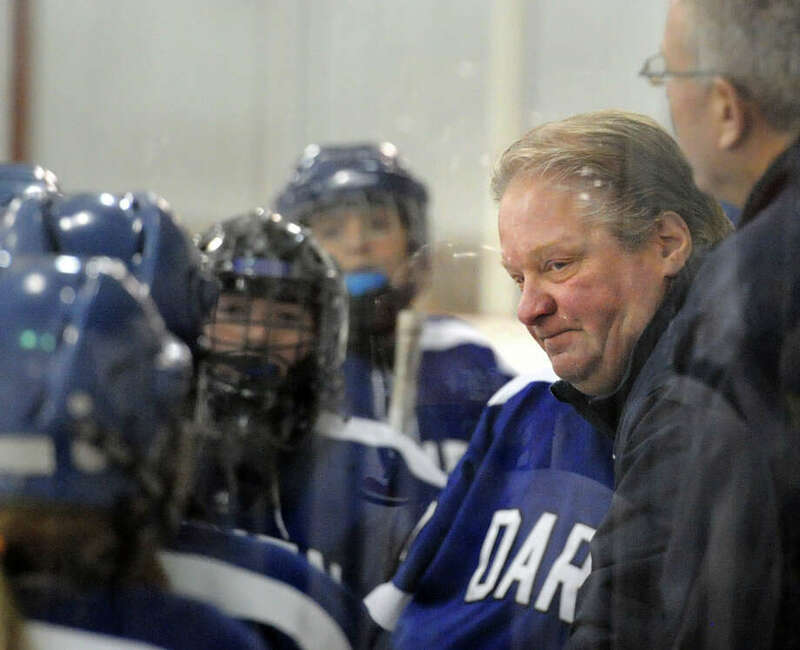 DARIEN — Darien girls hockey coach Jamie Tropsa has made his rounds in the coaching world. After starting at Darien High School as a boys coach before heading to Iona College and then New Canaan before circling back to Darien behind the girls bench, Tropsa has seen and accomplished plenty. However, this winter was something special, and it all culminated with being named the the Hearst Connecticut Media Girls Ice Hockey Coach of the Year. The 2015-16 Blue Wave, led by Tropsa and Hearst Connecticut Media MVP Georgia Cassidy, won both the FCIAC and state titles and only lost once during their historic season, finishing 23-1. Tropsa attributed much of his team’s success to continuity, as he has known and coached many of his players since they were 10-years old. Tropsa is an important cog in what has become a machine of championship-producing teams at Darien High School. Just in this season Darien won conference and/or state titles in field hockey and football and swept boys and girls hockey. Another venture that Tropsa has a large hand in is the growth of girls hockey in the state. Not currently recognized by the CIAC, the sport is both growing in some ways, especially in the FCIAC, and stagnant in others — namely upstate teams or schools lacking interest that have to combine with other programs to stay afloat. While 2016 was in many ways a competitive and successful year for girls hockey Tropsa hopes others will follow the blueprint of schools such as Darien which requires a lot of time and patience.